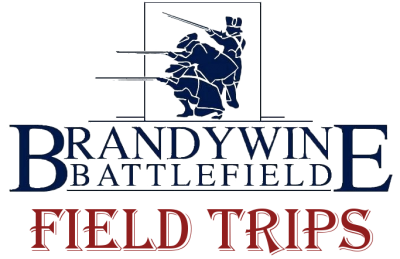 Brandywine Battlefield offers a variety of programs that actively involve students in order to increase their knowledge of history while ensuring that the students have fun and meet curriculum standards all at once. 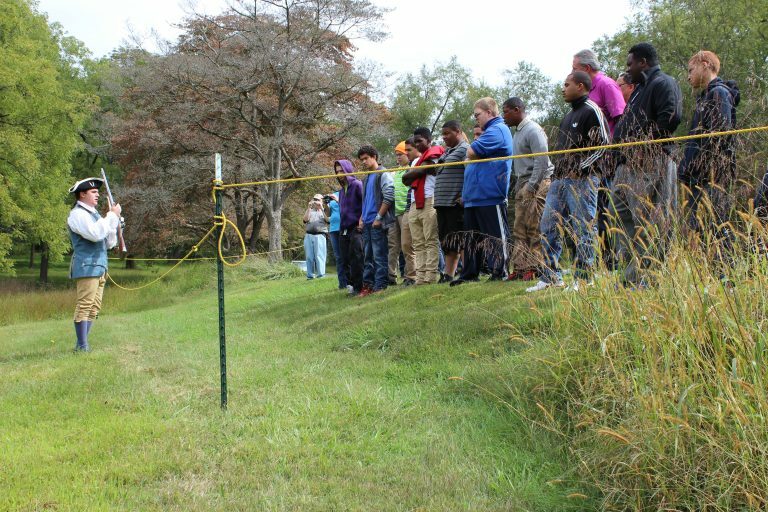 Our programs are always presented by knowledgeable Brandywine Battlefield Educators & Interpreters dressed in period attire. 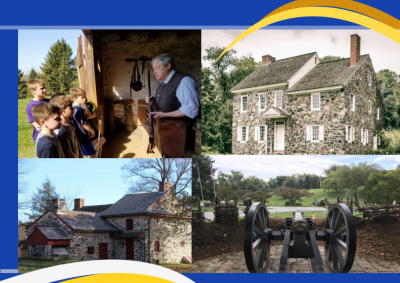 Two programs which can be chosen from our Programming Guide (link above), a 20-minute orientation film highlighting the Battle of Brandywine and other pertinent information, and a house tour (Washington’s HQ or Gideon Gilpin home). Designed for larger groups. Includes 6-8, 25 minute rotating stations with different period interpreters. Included as a station is our orientation film with the gift shop as an optional station as well. Can I schedule a field trip when you are closed? Yes! Programming is available 7 days a week. Can Brandywine Battlefield come to our School? Yes, Outreach Programming is available. Contact us to find out how we can visit you! How long does a field trip take? Required time for Basic Programming is 2-3 hours. Colonial Day Program 3-4 hours. We require 1 Chaperone for every 10 students. Also, for every 10 students, 1 free Chaperone is permitted. After this ratio is fulfilled, additional Chaperones will be required to pay the normal student rate. Can my group add an additional Program? Yes, special tours lasting more than 3 hours with additional programs will have an increased fee per student. Programming is available seven days a week! Outreach programming is available. Contact us to find out how we can visit you! Required time for Basic Programming is 2-3 hrs, Colonial Day Program 3-4 hrs. For every 10 students one free chaperone is permitted. After this ratio is fulfilled, additional chaperones will be required to pay normal student rate. 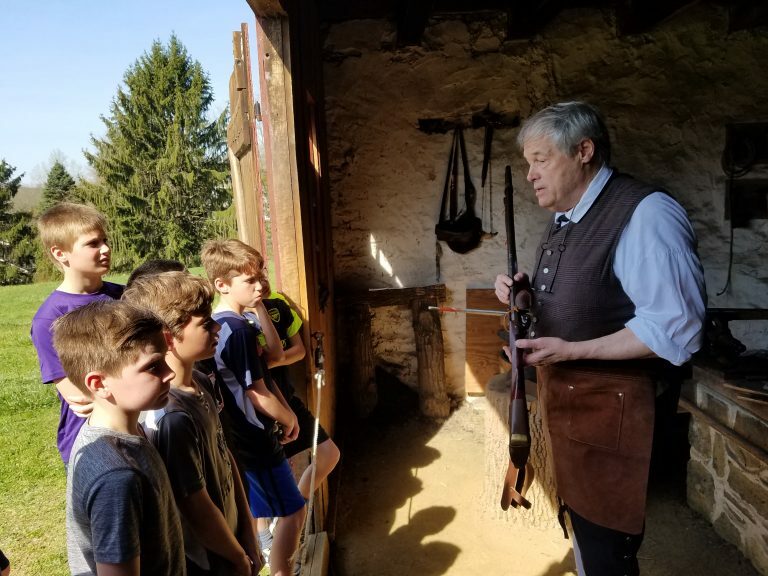 All Programs/Colonial Days/Driving Tours must be scheduled at least two weeks in advance before the intended visit date. Upon arrival, group leaders please report to the Reception desk at the Visitors Center for payment of fees and distribution of tour schedules. We will help you keep our picnic areas free of litter by making trash bags available at the desk. Be sure to ask for one! Bus or van drivers are expected to transport students from the Visitors Center to the historic houses on site. Drivers are welcome to join tour groups at no extra charge. Bringing siblings is not encouraged. If they attend, the usual student rate will be charged. Eating facilities include outside picnic tables only. Museum gift shop with educational toys and books is available to students if time permits. Additional questions? Don’t hesitate to call us! Why was the Battle of Brandywine so important and how did it fall into the big picture of the American Revolution? Why are George Washington and Lafayette honored as heroes? 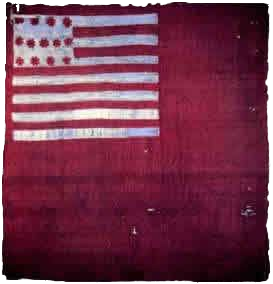 What did the common soldier endure during the American Revolution? How did the Battle of Brandywine impact the local population and the Brandywine Valley? Why is it important to preserve old structures and historic landscapes? These questions and many others will be answered during our interesting and interactive programming designed to enable students to develop new historic perspectives and understandings. 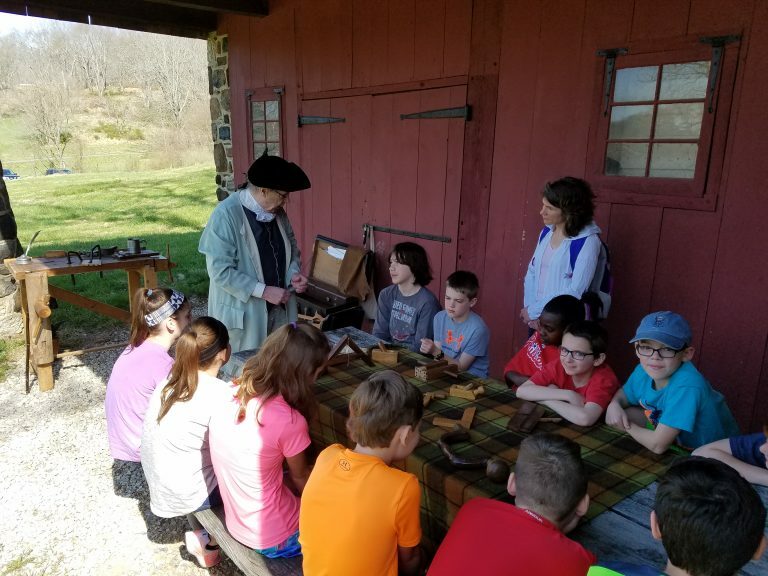 Interpreters in period clothing lead students through a series of discovery-oriented activities at various locations inside our park grounds for a true “Revolutionary” experience.